La Londe - Near the fort of Brégançon and the beach of Pellegrin, the property of 24,941sqm planted with cork oaks and Mediterranean vegetation is located in the heart of the vineyards. A house of about 264m² offers 6 bedrooms on two floors and attic. On the main level, the living/dining room, the kitchen and the master bedroom are extended by a large terrace of 50sqm south. 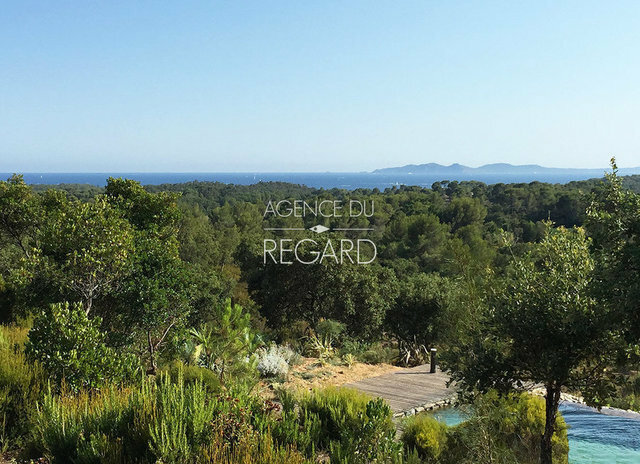 In the middle of a landscaped garden, a natural pool of water horizon offers a beautiful view of the sea and the island of Porquerolles.